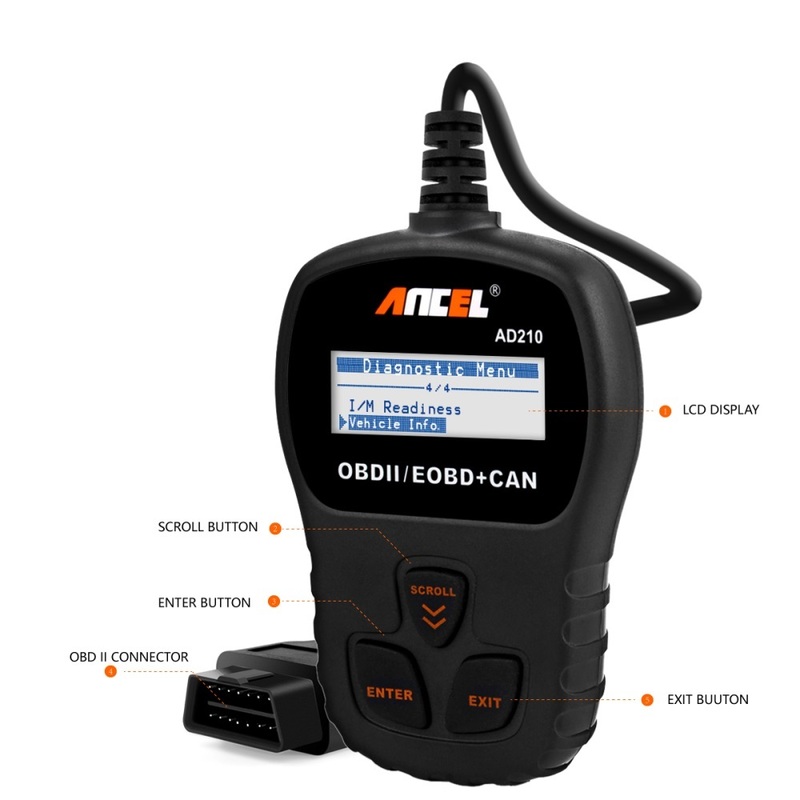 Ancel AD210 is professional OBDII scanner to read & clear DTCs. Well made and exclusive dealing! Scan codes much faster than ANY Bluetooth or WiFi obd2 scanners. How to Use Ancel AD210? The main part of the AD210 is detecting the Engine System, read and clear the error codes. Once plugged into your vehicle’s 16pin OBDII DLC, the unit will power up and prompt you to start your ignition. You have the menu to read and erase error codes. If your vehicle has a Check Engine Light suddenly comes on, you can use AD210 to read error codes, find out what the problem is, and perhaps fix it. Even if you take it to someone else for repair, you will know ahead of time the error your car is having. Save money and time! 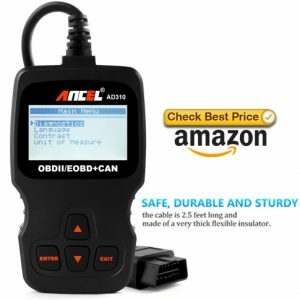 A1:This will work on any car with OBD II. It will read the codes and allow you to clear the codes. It does not give you any advanced programming features. Q2:this fix on toyota tercel 95? 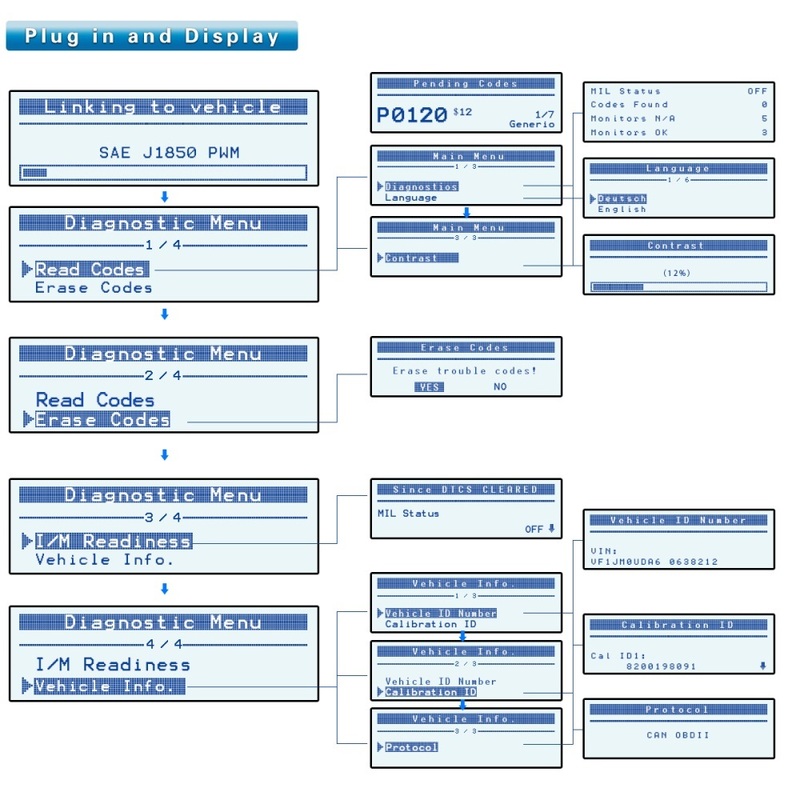 Q3:Is an Android smartphone required or does this unit display codes & descriptions itself? Q4:Will this work with a 2006 Chevy Silverado? The Ancel Code Reader did a 2 minute job of resolving a CEL issue. While installing a 2 Din radio in my 04′ Jeep Liberty, it threw a check engine light that would not go off during routine driving. Faced with the prospect of a very expensive trip to the dealer, the $21.00 Ancel Code Reader was a no-brainer. The code was, as suspected, unrecognizable (unknown) but the reader erased the error and caused the CEL to go off and to resume its normal operation. There is little question that the dealership would have found costly issues so I consider the reader paid for many times over in only a single use.